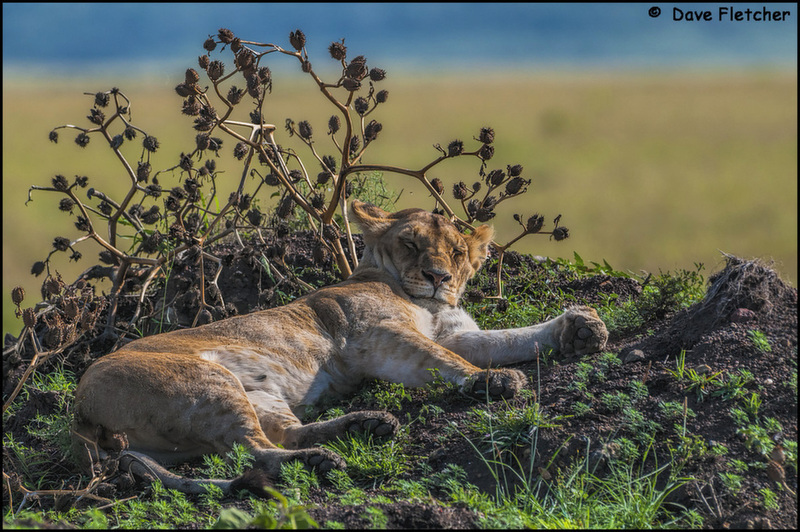 This lion appears perfectly comfortable lying in this cupped patch of earth. The ears, however, look tuned in to what is happening in the surroundings. Love the Velvia style processing, Dave. Glad you processed this one – handsome image. A nice comfortable resting place and although relaxing, this one is well aware of your presence but knows you aren't a threat. Even so, the senses are alert - just in case! Very nice behaviour capture, Dave! You keep digging, we'll keep enjoying! Sweet - a wonderful mood-as you say, a certain alertness even while snoozing. Look at those big paws!